The old gang from Guardians of the Galaxy are still together in Guardians of the Galaxy Vol. 2 - there’s Quill, aka Star Lord (Chris Pratt), the ‘built like a brick shithouse’ Drax (Dave Bautista), the tree creature Groot (voiced by Vin Diesel) and the wise-cracking raccoon Rocket (voiced by Bradley Cooper). 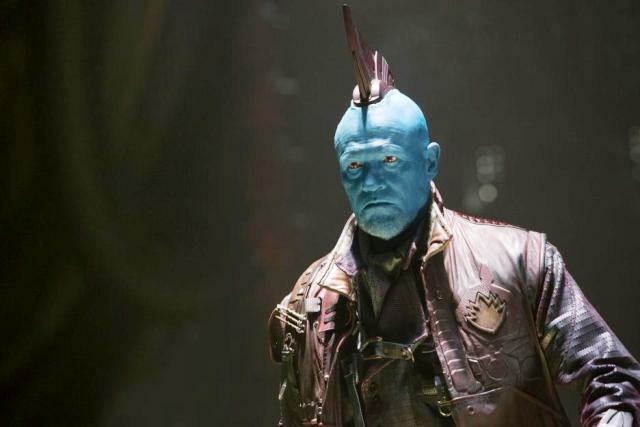 The exiled Ravager Yondu (Michael Rooker) is back as well, plus a couple of new characters, the guileless ‘empath’ Mantis (Pom Klementieff), who can read people’s emotions, and Gamora’s estranged sister Nebula (Karen Gillan).